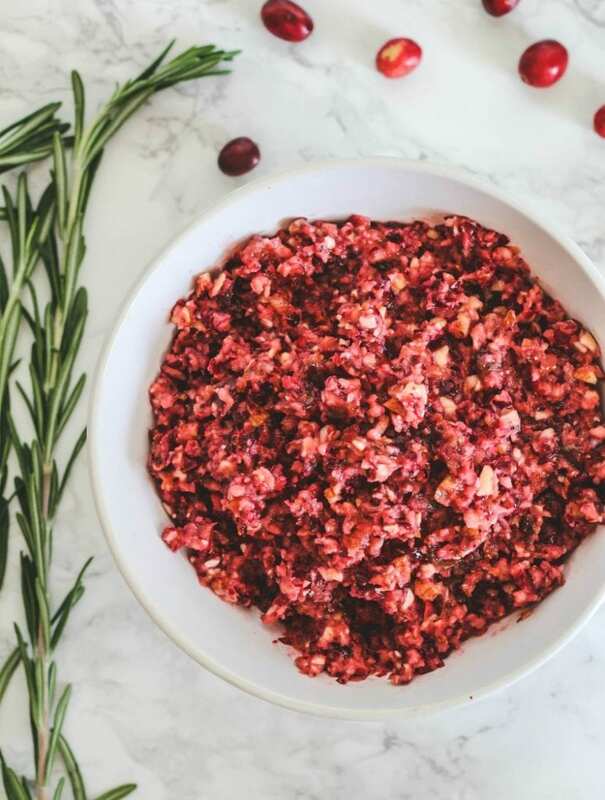 This sweet and tart cranberry, almond and tangerine relish is so much more refreshing than your cooked cranberry sauce. It comes together in less than 10 minutes (probably around 5 minutes). You do need a food processor to pulse it all together. I wouldn’t use a blender, it will just make it a lovely juice. Any leftovers are wonderful over your favorite yogurt for breakfast or oatmeal. You can sub pecans or walnuts for the almonds. 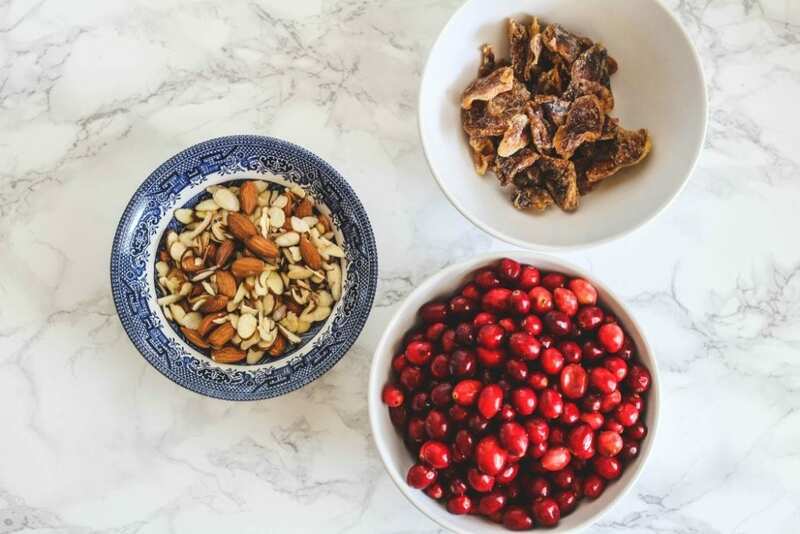 If you don’t happen to have dried tangerines around like I did, you could use dried apricots, raisins, dried cherries or even dates! Today we will have once again about 20 people at our house. They are mostly all of our Italian friends that live near us. I will try to capture some nice photos of the feast. I just wanted to pop in here and share this super easy and quick recipe I saw Melissa Clark make on the Today show the other morning. My jar of this cranberry, almond and tangerine relish is marinating in the fridge!! 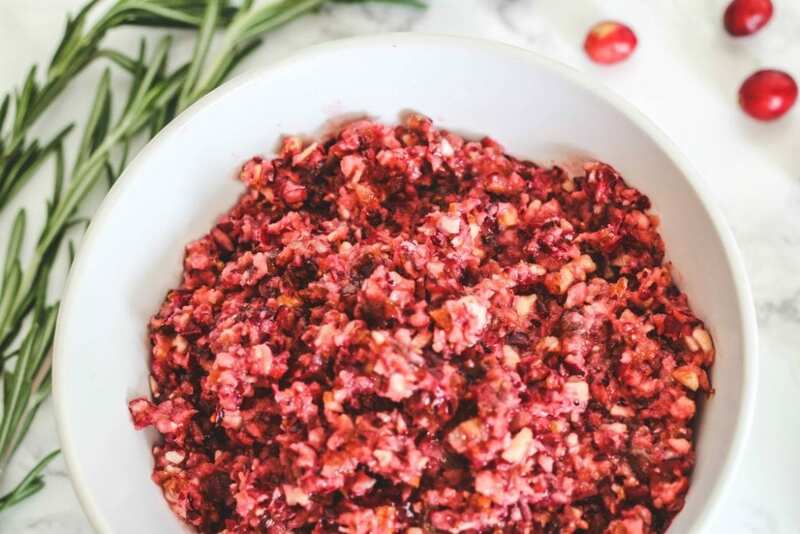 I tasted it after making it and it’s so good and so different than your typical cranberry sauce (I already made my regular cranberry sauce yesterday). 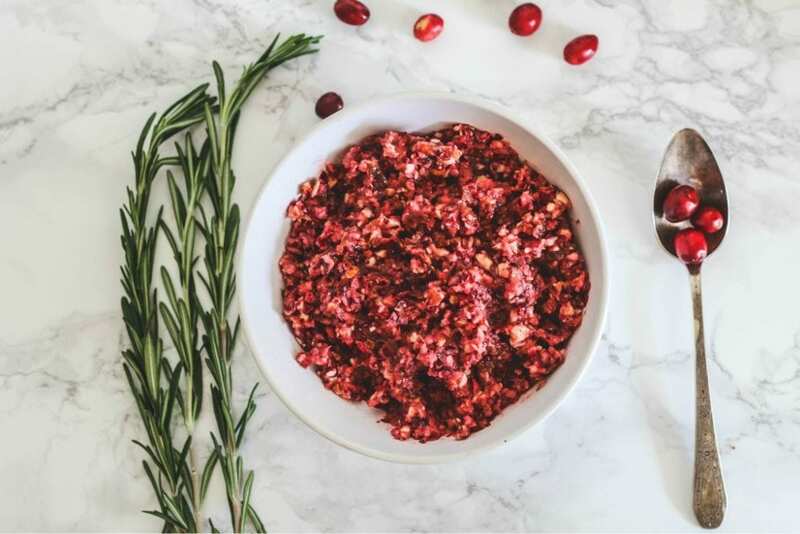 HOW LONG IS CRANBERRY RELISH GOOD FOR? It will keep in the fridge for 10-14 days. Refrigerate it as soon as you make it. If there any leftovers after serving, place in the refrigerator. It’s better to make this ahead of Thanksgiving if you can. The flavors taste better as they marinate. Excellent with turkey, chicken or even pork!! 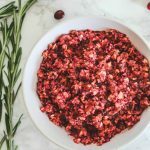 A very easy three ingredient cranberry relish that comes together in less than 10 minutes. The more it marinates, the better the flavor! Serve it with turkey, chicken, and pork. 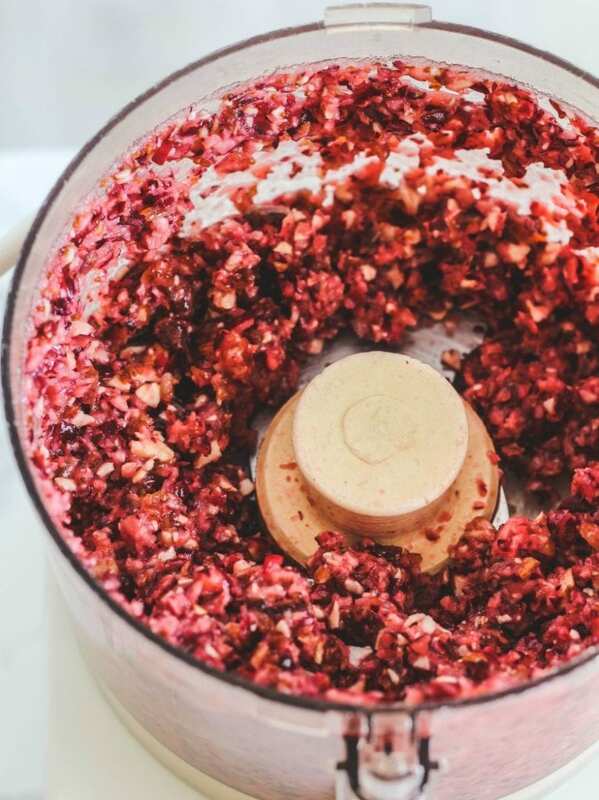 Place all the ingredients in a food processor and pulse. Blend until you have a very finely chopped mixture. Sprinkle on some almond slivers and some chopped dried tangerine pieces before serving.